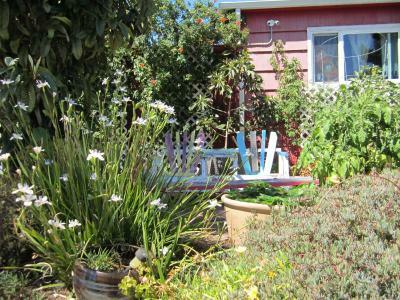 Lock in a great price for HI San Diego Point Loma Hostel – rated 8.8 by recent guests! Great hostel in nice residential neighborhood a little over a mile from the beach - with stores/library/food right by it. 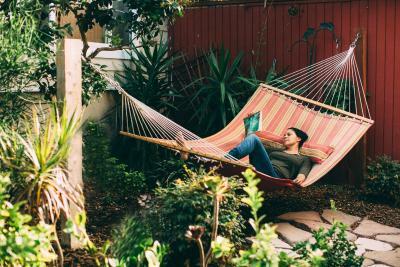 Relaxing atmosphere. I Really like this hostel because inside is really convivial. Great welcoming and help by Sebastian at front desk check in and getting me the bed that was suitable for my situation. Other staff are also friendly and helpful all the way. Comfortable, clean, calm hostel. 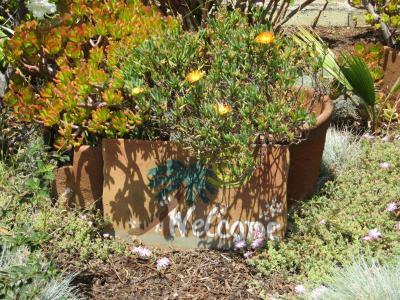 Very Good facilities, great kitchen, garden, staff- a quality hostel with a good feel to it. Will stay again - actually a return visit for me. Staff are great. Very clean. Shared bathrooms not at all a problem (but there were not a lot of guests). Breakfast was just fine. Very friendly staff and tourists, quiet & safe neighbourhood. Well equiped public kitchen. Big market just across the street. Locations pretty good, right down the street from a small strip mall so easy to get supplies. The place itself is great, big common area with a huge kitchen. Nice also is the rooms have plenty of outlets, so can keep everything charged. The employees are friendly and very helpful. 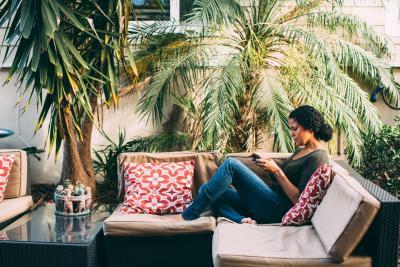 The patio is cozy and comfortable. The location is perfect. 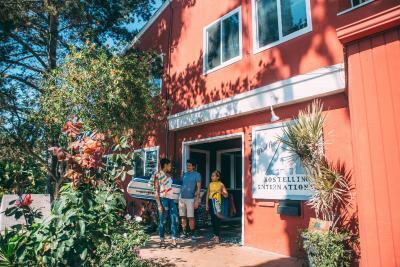 HI San Diego Point Loma Hostel This rating is a reflection of how the property compares to the industry standard when it comes to price, facilities and services available. It's based on a self-evaluation by the property. Use this rating to help choose your stay! 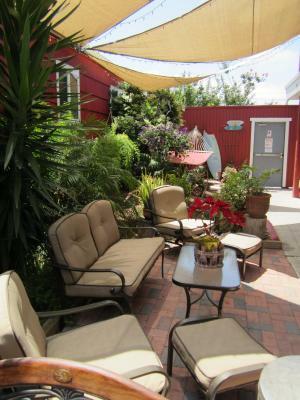 Set in a quiet residential community, this earth-friendly San Diego hostel offers accommodations with free WiFi. 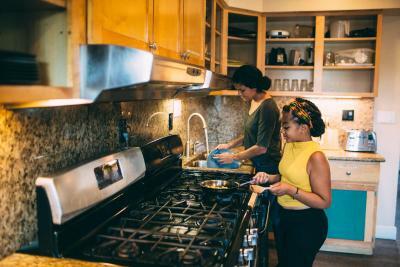 Guests have access to a large community kitchen. Ocean Beach is 1.4 mi away. 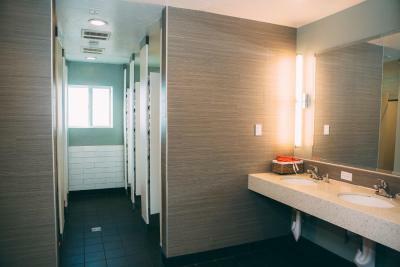 Guest accommodations at HI San Diego Point Loma Hostel offers shared bathrooms. Linens and towels are provided. Lockers are also available. 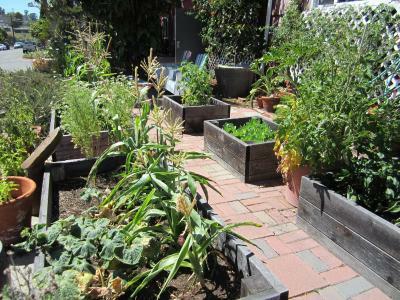 BBQ facilities are offered to guests of HI San Diego Point Loma Hostel. If they prefer, guests can hire bicycles to explore the beach areas around this hostel. 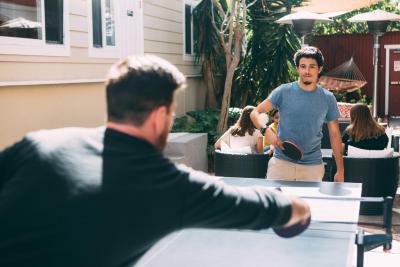 A games room, a TV room and laundry facilities are located on site. 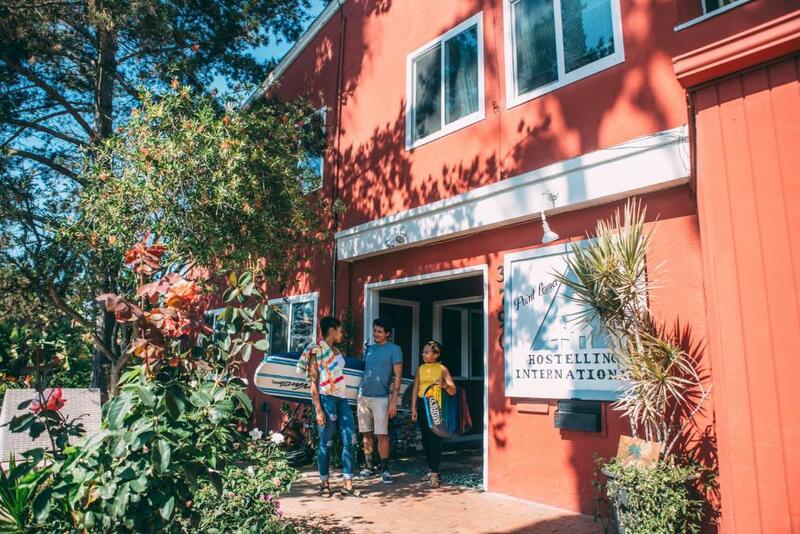 Balboa Park and the San Diego Zoo are 6.4 mi away from this hostel. Numerous surf spots at Sunset Cliffs are 2.1 mi away. San Diego International Airport is 2.5 mi away. 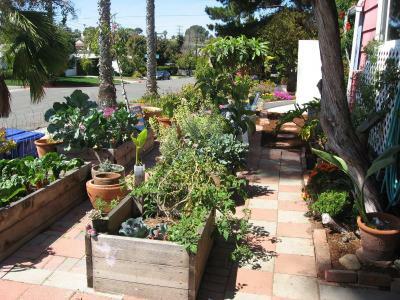 When would you like to stay at HI San Diego Point Loma Hostel? 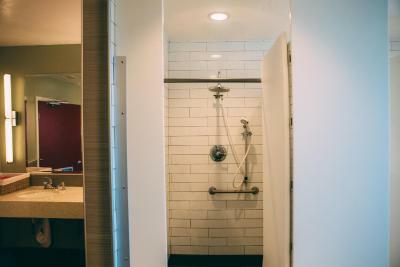 Featuring free Wi-Fi, this dorm room includes a shared bathroom. Linens and towels are provided. Featuring free Wi-Fi, this room includes a double bed and a shared bathroom. Linens and towels are provided. 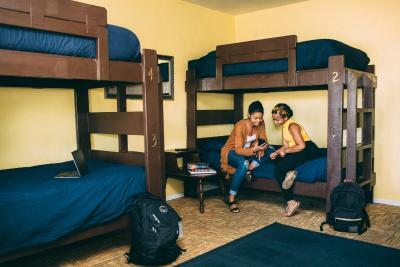 Featuring free Wi-Fi, this room includes twin bunk beds and a shared bathroom. Linens and towels are provided. Area Info – This neighborhood is a great choice for travelers interested in harbors, warm weather and relaxation – Check location Great location - show map Guests loved walking around the neighborhood! 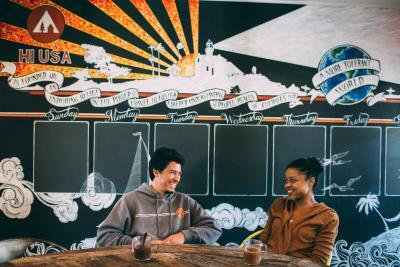 House Rules HI San Diego Point Loma Hostel takes special requests – add in the next step! HI San Diego Point Loma Hostel accepts these cards and reserves the right to temporarily hold an amount prior to arrival. Please note, the maximum number of guests per one reservation is 7. 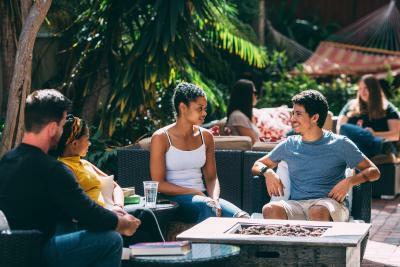 If you have more guests in your group, please contact the property before completing the reservation. Special conditions may apply. All guests must not reside within San Diego County. Maximum Stay Policy: The maximum stay is 14 days in each 12-month period. Age Restriction: Under 18 must have written consent of acceptance of liability by parent, guardian, or chaperon. Also, guests under the age of 16 are not allowed to reserve a bed in a shared dormitory. Please note: This property cannot accept packages arriving for guests who are not currently checked in. Please note: Reception is closed from 24:00 hours until 08:00 hours. No check-in is permitted for new arrivals between these hours. The breakfast was practically non existent. No fruit, no cereal, no milk for tea or coffee. There was cream cheese, bagels and sickly sweet cinnamon swirls, and that was it. The bed was comfy. Lounge had a large television. Area is nice. While weekday daytime bus services is good; nights and weekends closest bus stop about a 15 minute walk. It was good but fairly basic it would of been good for a fry up or some eggs to cook. Breakfast was very basic, not what we were expecting. Private Room was smaller than what we imagined it to be and had a higher tariff for it's size and utilities. I liked the location, the ease of check-in and check-out and it was a quiet hostel. The community feel, being with other travelers. It's a noisy area of airplanes noise. we were promised a private room. no tv or bathroom is not private. $102 room. They blamed you for no refund when we arrived. Many options and activities available. this hostel was one of our best shelters during our roadtrip. Its size is very cozy and it’s really clean and tidy. We washed our clothes and were cooking every day - the kitchen is amazing and really well equiped. The employees have been lovely and took care of all guests. On saturday evening they offer an open air film evening with free popcorn, hot chocolate and fire places. 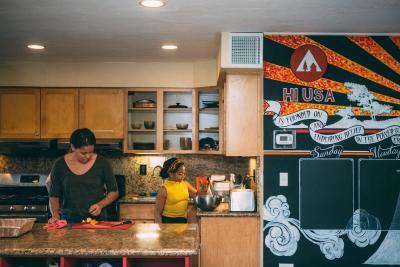 We would definitely come back to this hostel the next time we are visiting San Diego. I wish if it was closer to the ocean, but you save so much money on your stay, Access to ocean is only 4$ lyft ride :), so it is really worth it. This place was so beautiful, very clean. Everyone that worked there was extremely pleasant, and they were always cleaning something. It was my first time to visit San Diego and I felt like Alice in Wonderland. They guided me how to get arround and what to do. If you like to surf , they have surf boards , you can rent a bike for a small fee. All rooms are locked up and they have nice, big lockers for your personal items. Plugs for phone charge and your laptop are right next to your bed. There is grocery store just arround the corner. Washrooms and showers were always clean.If I ever come back to San Diego I will def come back to this place. A bit pricey for a bunk bed. 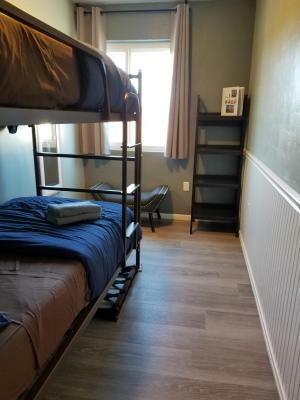 You can get your own motel room with 2 beds and en suite bathroom for the same price as 2 bunk beds in a shared room with 6 other people and a shared bathroom at the hostel. 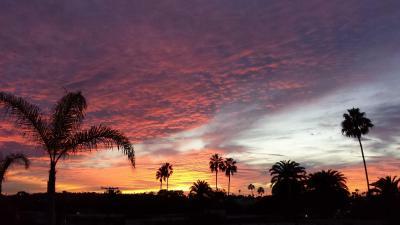 Great for traveling alone but if you have 2 people, a motel is a viable option. 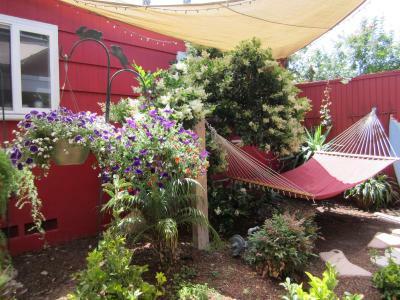 Of course, a motel doesn't have the personality of this nice hostel. I love that this hostel tries to be eco friendly. I love the location. Seems safe and secure. They don’t change the sheets or didn’t give us new sheets to make our beds. The shower’s water pressure was weak compared to the other hotel we stayed in. They didn’t have much for breakfast. No TV in the rooms. But over all, all was tidy and neat. 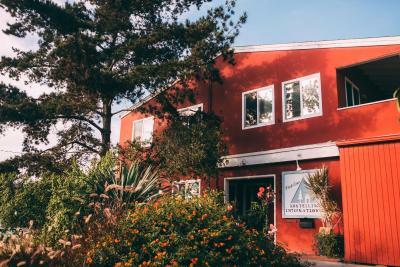 It’s close to the airport, the staff are so friendly, although bathrooms and kitchen are shared the rooms have enough privacy to rest and just chill. The place was quiet and cozy. I watched a movie at the lounge because they have a big screen there. You can drink coffee anytime you like which was a big deal for us.